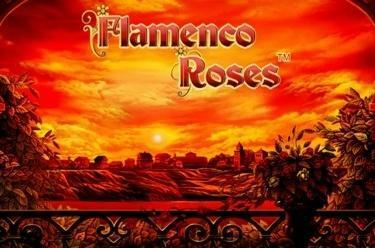 Play Flamenco Roses™ online for free now! Olé! Hot Flamenco rhythms and plenty of Spanish passion - that's all it takes to get your profits dancing! Experience the Spanish temperament up close with Flamenco Roses™; sweep across the dance floor to the sound of castanets and swoop elegantly between the yellow roses towards the feature game! 5 reels with 10 win lines will bring you luck. Your aim is to land 5 matching symbols along a win line. Every winning combination begins on the left and runs along the win line to the right. To win, the symbols must land next to each other on an active win line without any other symbols between them. 3 or more Yellow Roses in any position win 11 Free Games, using the bet from your last regular game. Our Flamenco dancer (WILD) plays the main role - as soon as he appears, he remains fixed in his position until the end of Free Spins and completes your winning combinations. 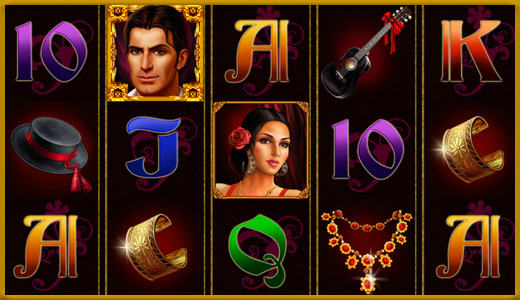 The more Flamenco dancers appear on the reels the higher your winning chances will be! 3 or more yellow roses during the current Free Game win more Free Spins.